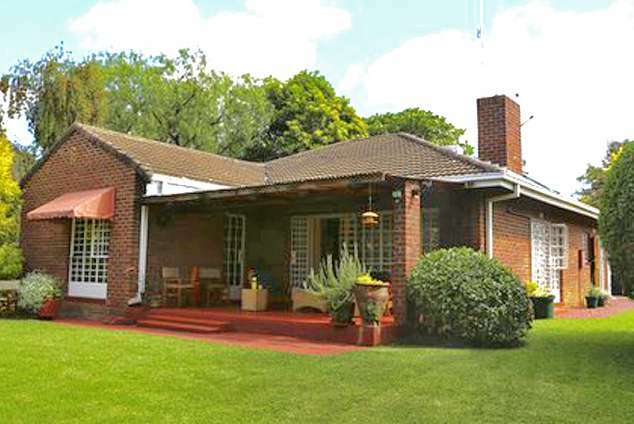 Sunbird Guest House - Harare Accommodation. Two spotless, self-contained Guest Houses units inside a secure, guarded complex in an upmarket quiet suburb of Harare. Only 10 Minutes from the city centre, close to business, tourism and travel hubs and Pick 'n Pay, Foodlovers Market and various restaurants. Each of our two units consists of 3 fully en suite rooms with Full DSTV, Free Wifi throughout, Solar Geysers, Generator back-up, Borehole Water, Lock up Garages and a Helpful Housekeeper. Renovated to world class standards. Unit 2 also has a pool and outdoor gazebo. RECENTLY RENOVATED luxurious double en suite room with a queen-sized bed, Wireless Internet and full DSTV. RECENTLY RENOVATED luxurious twin en suite room with two single beds, Wireless Internet and full DSTV. 11270 page views since 20 Jan, 2010.